The upcoming UN Climate Summit will be an important forum for country and cities leaders to commit to sustainable urban development strategies. Photo by Vernon Tang/Flickr. Foreword: The upcoming United Nations Climate Summit comes at a critical time for cities worldwide. Cities already account for 70% of global greenhouse gas (GHG) emissions, and between 2011 and 2030, urban areas are expected to gain 1.4 billion people. In particular, many cities in lower- and middle-income countries are growing at unprecedented rates. 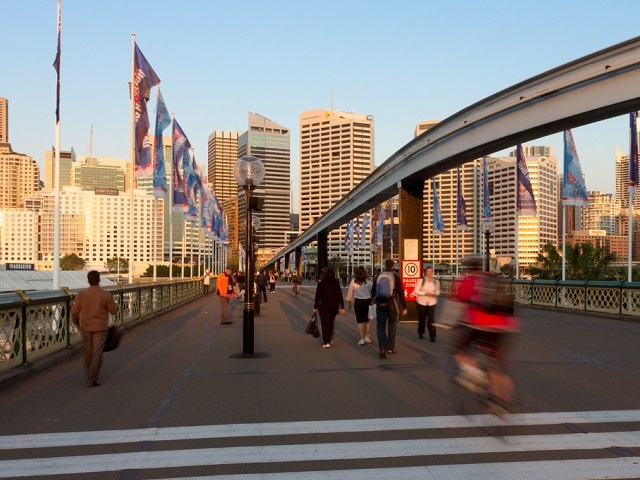 City leaders must act now to avoid the lock-in effects of long-lasting urban infrastructure. This blog post, originally published on WRI Insights, highlights the reasons why this summit is an important forum for international leaders to address climate change. This will be the first time in five years – since the 2009 negotiations in Copenhagen – that so many world leaders have gathered to discuss climate change. Secretary-General Ban established the summit to kick-start a 15-month period of intense climate engagement and negotiations to try to reach a global agreement in December 2015. Building momentum in New York City will be critically important to achieving that goal. U.S. President Barack Obama and Chinese Vice Premier Zhang Gaoli, leaders in the world’s two largest emitting countries, are expected to attend the summit. If substantive measures to address greenhouse gas emissions are to be achieved, both the United States and China will need to be integrally involved. Encouragingly, the two countries are already collaborating on clean energy projects at the research, business and government levels through initiatives like the US-China Clean Energy Research Center (CERC). In July they unveiled eight new climate partnership agreements. The one-day summit will be a forum for countries to share new initiatives. In fact, the whole morning is packed with three concurrent sessions where countries will announce their climate actions. The announcements will likely range from commitments to capitalize the Green Climate Fund, as Germany recently did by pledging US$ 1 billion dollars to help countries prepare for climate impacts and pursue low-carbon pathways, to domestic actions that prompt a shift from coal and toward scaled-up renewables. The rapid adoption of renewable energy in recent years has shifted what was considered feasible just five years ago. Solar manufacturing costs have plummeted 80% and wind power has never been more affordable. Last October, Denmark produced more energy from wind power than the country consumed. China has set aggressive renewable energy targets for 2015, 2017 and 2020. More and more American utilities are finding that wind and solar offer the cheapest way to add additional generating capacity. And nearly 100 developing countries now have renewable energy policies in place. The shifting energy landscape and strong social and economic benefits from transitioning to clean energy enables world and corporate leaders to make a strong case for climate leadership. Editor’s Note: When originally published on WRI Insights, this blog post indicated that Chinese president Xi Jinping would attend the UN Climate Summit. After it was published, reports were released indicating that he will not attend. Vice Premier Zhang Gaoli is expected to attend in his place.